Home /Social Media Marketing » Can social media cause harm? While most of the world has moved from @HurricaneSandy on to “The Next Big Thing”, here in New Jersey the hurricane is still very much on our minds. 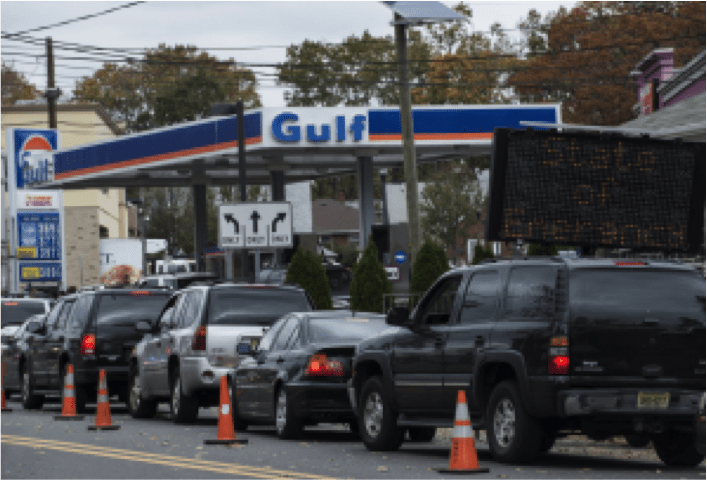 Many people have commented tome how the disaster brought out the Dark Side of Social Media during the storm. 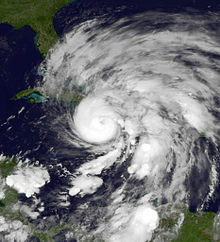 Social Media may have affected people during and after the storm. 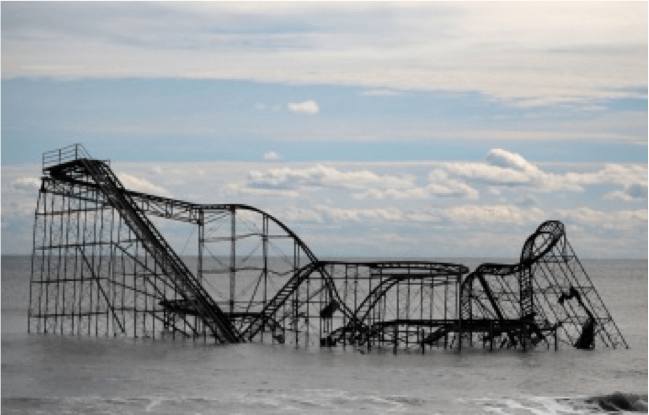 Some of the images going viral were real images, but simply weren’t from the @Frankenstorm Sandy. 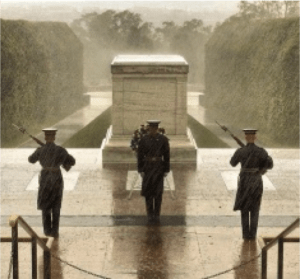 Two of the most popular were soldiers weathering the storm while guarding the Tomb of the Unknown Soldier (a real photo, but taken this past September). Those soldiers earn my utmost respect at any time of the year so the image was a good reminder to all of us and was not dangerous. @ComfortablySmug tweeted blatant lies Con Ed shut down all power in Manhattan and the New York Stock Exchange was flooded. These tweets reached many people very quickly and caused a lot of panic and confusion. Even respected organizations like CNN retweeted some of these lies before checking the facts. It is tweets like these during emergencies that can cause extreme reactions like riots or looting. Luckily @ComfortablySmug’s identity was found out and he publicly apologized and resigned from his job as a campaign manager. His tweets could definitely have had dangerous consequences. The photo of the shark swimming in the streets of New Jersey is a great example of how plausible circumstances can make people believe in Photoshopped images. 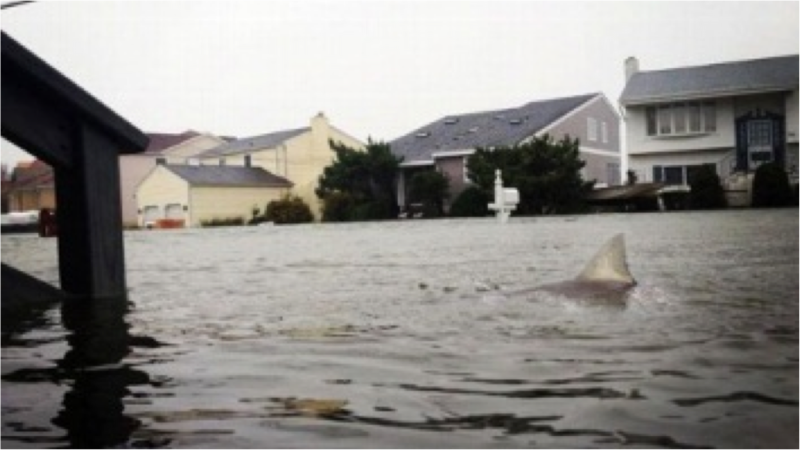 The shark swimming in the streets theme popped up after Hurricane Irene as well. 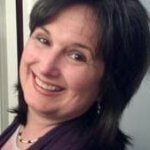 I am a firm believer in that people will find what they are looking for and in my search I found many examples of people using social media to reach out and help others. The day after #HurricaneSandy my neighbor reached out on Facebook for warm clothing that she could bring to Staten Island. People in the neighborhood she grew up in lost everything. Within two hours her truck was full and she was able to help quite a few people in trouble. During the time when gas lines were hours long, I saw many posts from people who used social media to announce which gas stations had gas. Many people used social media to offer use of their houses for showers, food and recharging of devices. And as people regained their power, there were many offers of generators to people who still were without power at the 2 week mark. Social Media is still Media and the same old rules apply – don’t believe everything you see or hear. Try to check out facts before reposting. And if you have some resources to spare, please consider checking out the American Red Cross or another organization to help out those in need.